I recently received a sad email informing me that Paul Jones, my first and only computing programming teacher, had passed away. Mr. Jones taught at Schuyler Colfax Junior High School in Wayne, New Jersey for thirty-seven years. If a monument to honor great achievements in educational computing is ever erected, it should surely include a statue of Mr. Jones. Around 1976 I got to touch a computer for the first time. My junior high school (grades 6-8) had a mandatory computer-programming course for seventh and eighth graders. I only had the course once since I was in the band. In a twist familiar to schools across the land, kids less inclined to creative and intellectual pursuits got to take double the number of courses in those areas! In the 1970s the Wayne Township Public Schools in New Jersey believed it was important for all kids to have experience programming computers. There was never any discussion of preparation for computing careers, school-to-work, presentation graphics or computer literacy. This was not a gifted course or a vocational course. This “mandatory elective” (a concept unique to schooling) was viewed as a window onto a world of ideas – equal in status to industrial arts, home economics and the arts. To young adolescents transitioning out of trick-or-treating Mr. Jones was scary in a Dr. Frankenstein sort of way. Rumors abounded about him talking to his computer and even kissing it goodnight before going home at the end of the day. The truth was that this guy could make computers do things! To kids who never imagined seeing a computer – let alone controlling one, having such power within our reach was pretty heady stuff. The class consisted of mini-tutorials, programming problems on worksheets to kill time while we waited to use the one or two teletypes sitting in the front and back of the room. The scarcity of classroom computers had an unintended consequence, lots of collaboration. We could sign-up to do more programming or play a computer game after school. This afterschool activity, undoubtedly offered out of the goodness of Mr. Jones’ heart, would allow us extra precious minutes of computer time. Text-based versions of boxing, tennis, football and Star Trek were favorites. Mr. Jones knew how the games worked and would show us the underlying code if we were interested. Mr. Jones did sort of love his computer and his students. Once I knew the odds for each football play the computer never beat me again. I could THINK LIKE THE COMPUTER! This made me feel powerful and laid the foundation for a life of problem solving. During high school I would pay an occasional visit to Mr. Jones in order to trade programming secrets. As an adult we had a casual collegial relationship. He may have even attended one or two of my workshops. I do remember that he loved AppleWorks with a passion normally reserved for opera and that he collected Beagle Bros. AppleWorks add-ons like they were Beanie Babies. Not long after Mr. Jones died I received a charming email from the world’s finest seventh grade social studies teacher, Bob Prail, asking me if I would be interested in applying for Mr. Jones’ teaching job. I was honored to be considered and must admit that the whole “circle of life” angle warmed my heart. However, living with my family 3,000 miles from Schuyler Colfax Jr. High would make the commute difficult. I also feared that the responsibilities assigned to this teaching position were no longer pioneering or designed to expand the thinking of students. I was concerned that the 2001 curriculum for a computing teacher (probably now called something like digital communication technology integration facilitator and cable-puller) would have deteriorated into the mindless computer literacy objectives of mouse-clicking, web bookmarking and word processing plaguing too many schools. Unnamed sources within the junior high school in question have since revealed that students now spend a considerable amount of time learning to “keyboard.” I don’t know which is worse, disrespecting the talents and culture of kids by pretending that they have never seen a computer before or lowering our expectations by making it impossible for kids to do wondrous things with the most powerful technology ever invented. As students of Mr. Jones a quarter century ago, none of us HAD ever seen a computer before and yet the curriculum was designed to inspire us to seize control of this mysterious machine. Since we had little idea what was impossible, we thought anything was possible. We felt smart, powerful and creative. Assuming Mr. Jones’ responsibilities while trivializing the intellectual power of computing would dishonor his spirit and diminish his pioneering contributions to the world of powerful ideas. 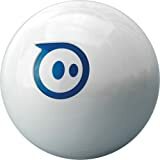 I like Sphero and am impressed by their ability to execute as a company. Their customer service is terrific and their ability to attract the Star Wars license, publicity, and this recent New Yorker profile are unprecedented. 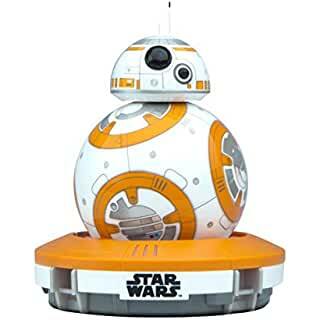 Sphero makes terrific toys. However, companies and reporters would be well-served by speaking with educators who understand learning and have paid some dues before making grand pronouncements about education. Simply comprehending the differences between teaching and learning would be a welcome first step. The article’s ad-hominem attacks on Logo in favor of C for god’s sake shows just how profoundly misguided the “Coding” newbies happen to be. History does not begin with them. Every thought they have, no matter how unimaginative or unoriginal is not automatically superior to the work done by those of us who have taught kids and teachers to program for decades. David Ahl told me that Creative Computing Magazine had 400,000 subscribers in 1984. Thirty years ago, my friend and Constructing Modern Knowledge faculty member, Dr. Dan Watt, sold more than 100,000 books of Learning with Logo. Tens of thousands of educators taught children to program in the 1980s and then again after laptops were introduced in the 1990s. This was not for an hour, but over sufficient time to develop fluency. It takes real balls for every other startup company, politician, and Silicon Valley dilettante to advocate for “coding” with a macho certainty suggesting that learning to program is a novel idea or accomplished in an hour. Apologies to The New Yorker, but balls don’t teach kids to code. Kids learn to code by teaching balls. Find yourself a copy of Mindstorms, 35 years-old this year, and you’ll understand. Sphero is a fun toy that may be programmed IN Logo – the best of both worlds. Tickle for iOS is a version of Scratch (and Scratch is Logo) whose secret sauce is its ability to program lots of toys, several made by Sphero. Logo turns 50 years-old next year. Let’s see what Silicon Valley creates that children learn with for more than 50 days. President Obama Discovers Coding – Yippee! Constructing Modern Knowledge offers world-class hands-on workshops across the globe, at schools, conferences, and museums. During these workshops, teachers learn to learn and teach via making, tinkering, and engineering. Computer programming (coding) and learning-by-making with a variety of materials, including Sphero and Tickle. For more information, click here. More than 20 years ago, a graduate student of mine, named Beth, (surname escapes me, but she had triplets and is a very fine high school math teacher) used an early version of MicroWorlds to program her own version of a toolkit similar to Geometer’s Sketchpad. Over time, I ran a similar activity with kids as young as 7th grade. I’ve done my best to piece together various artifacts from my archives into a coherent starting point for this potentially expansive activity. Hopefully, you’ll be able to figure out how to use the tools provided and improve or expand upon them. As students build functionality (via programming) into a tool for creating and measuring geometric constructions, they reinforce their understanding of important geometric concepts. As the tool gets more sophisticated, students learn more geometry, which in turn leads to a desire to explore more complex geometric issues. This is an ecological approach to programming. The tool gets better as you learn more and you learn more as the tool becomes more sophisticated. Along the way, students become better programmers while using variables, list processing, and recursion in their Logo procedures. They will also engage in user interface design. I would not show commercial models of the software to students until after they have programmed some new functionality into their own tools. Although I’m only 48, I have been working in educational computing for thirty years. When I started, we taught children to program. We also taught tens of thousands of teachers to teach computer science to learners of all ages. In many cases, this experience represented the most complex thinking about thinking that teachers ever experienced and their students gained benefit from observing teachers learning to think symbolically, solve problems and debug. There was once a time in the not so distant path when educators were on the frontiers of scientific reasoning and technological progress. Curriculum was transformed by computing. School computers were used less often to “do school” and more often to do the impossible. Don’t believe me? My mentor, Dan Watt, sold over 100,000 copies of a book entitled, Learning with Logo in the 1980s when much fewer teachers and children had access to a personal computer. Things sped downhill when we removed “computing” from our lexicon and replaced it with “technology” (like a Pez dispenser or Thermos). We quickly degraded that meaningless term, technology, further by modifying it with IT and ICT. Once computing was officially erased from the education of young people, teachers could focus on keyboarding, chatting, looking stuff up, labeling the parts of the computer and making PowerPoint presentations about topics you don’t care about for an audience you will never meet. The over-reliance on the Internet and the unreliability of school networks ensures that you can spend half of each class period just logging-in. Teachers with post-graduate degrees are being compelled to receive iPad training. My 95 year-old grandmother figured it out all by herself. No tax dollars were harmed in the process. Apparently, we also need to provide teachers with interactive white board training so they may hung unused in their classroom, just like all of their peers. We have National Educational Technology Standards published by the International Society for TECHNOLOGY in Education that are so vague pedestrian that no computing is needed to meet them. In fact, it’s likely one can satisfy the NETs without the actual use of a computer. Despite standards and district tech plans that are a cross between a shopping list and a desperate plea for teachers to consider modernity, most school kids are powerless over the technology so central to their lives. Nobody even bothers to ask the question Seymour Papert first posed 45 years ago, “Does the child program the computer or does the computer program the child?” This is a tragedy. What kids do get to do with computers tends to be trivial and inservice of the educational status quo. Gone are the days when educational computing conference programs were home to the most progressive thinkers and revolutionary ideas in education. Teachers were considered thought leaders and scholars who were required to write peer-reviewed papers in order to present at such events. Today one merely has to promise 75 quick and easy things to do in 37 minutes with the hottest product being peddled to schools. Another popular topic is incessantly about how your colleagues won’t or can’t use the latest fad. I am sorry, but social media is not a school subject. There are conference workshops on using Twitter and masters degrees in educational technology that culminate in a rap about hashtags. If social media is any damned good, it needs to be as complex and reliable as a dial-tone. PLN, PLC, PLP, etc… are just fancy alphabet soup for having someone to talk with. We should not need an National Science Foundation grant to make friends. I had an educator approach me at a conference recently to volunteer that “Our school is not ready for Google Docs.” Set aside whatever you happen to think about Google Docs; it’s a word processor in a Web browser, right? I told the tech director, “Congratulations, your school district has apparently managed to employ the last breathing mammals in the solar system incapable of using a word processor.” Isn’t it odd that technology directors are not held accountable for such failure over three decades? Could they possibly be enabling co-dependent behavior and helplessness in the teachers they are meant to lead? If the percentage of teachers using computers remains constant over time, regardless of how we lower expectations, shouldn’t we ask a great deal more of them and set our sights higher? When Luerhmann coined the term, “computer literacy,” he intended it to mean computer programming the intellectual pursuit of agency over the computer and a means for solving problems. Don’t believe me? Read this 1980 paper transcribed from a 1972 talk. First of all, the educational technology community and schools seem to have decided that no kids should learn to program. I’d be happy with the same nine-week programming class I was required to take in 1975. Second, computer programming is not like fixing a car. It’s much more like designing the car, making sure all of its systems work in an integrated fashion, mitigating the environmental impact of cars and imagining their impact on society. Computer science is a legitimate science that has profound implications for learning all sorts of other powerful ideas, working in diverse fields and making sense of the world. You just would not know this if you go to school. Why would it even occur to educators to deprive children of such rich learning opportunities? If you have the audacity to speak of digital literacy or technology literacy and do not teach computer science, then this is the first time in the history of education when the functional definition of “literacy” has been so devalued, diminished and degraded. All other expectations for literacy increase over time. There you go Stager, you radical crank. How dare you ask teachers to develop new knowledge and empower students? You’re just some stupid utopian who happened to have a great 7th grade computer programming teacher 35 years ago. Well, I’m not alone. In January, I was in London to keynote at BETT. At the same event, the Secretary of State Michael Gove announced that the UK government was scrapping the “harmful and dull” national ICT curriculum and replacing it with computer science at all grade levels. He called the current curriculum a mess and wondered aloud why schools bother to teach Excel or PowerPoint to bored students? Coincidentally, I wondered in 1996 why we were investing so heavenly in ensuring that we create a generation of fifth graders with terrific secretarial skills? When a conservative politician and I agree on education policy, who could possibly be on the other side? Uber-edublogger Will Richardson recently published a blog post entitled, Valuing Change. In the article, he reiterated the frequent lament that teachers don’t “consider” or “value” change especially when the Web allows students to “connect outside of the classroom.” The who, what or why of connecting isn’t discussed. Will’s article illustrates a teacher’s unwillingness to embrace change by showing how a topic like gerrymandering could be made more engaging through the use of information technologies. Will recognizes the challenges facing teachers and offers an olive branch by suggesting that we can “do both” – teach what will likely be on the test and do so more meaningly. It should come as no surprise that I disagree, especially given the example used. As I write this, there are two dozen comments in addition to the few I contributed. Either blog commenters don’t consider the ideas of other commenters or my argument was not clear enough. Perhaps, as much as you would like it to be otherwise, the incrementalism of “doing both” is really the problem. Why would you Skype someone involved “in the process?” What process? Who? State legislators? What are they likely to tell a student that can’t be found out in a book or article? One of the lessons I learned from Seymour Papert (http://dailypapert.com) was that you cannot transform school just by changing teaching practices or even the technology used. You must rethink, challenge or reinforce the content of the curriculum. The “what” has a great deal of impact on the how and the why of learning something. Like so much of schooling, the topic of gerrymandering is really just a vocabulary exercise. Memorize the definition and move on. I’m not sure you can put lipstick on that pig. I do not believe that it is possible to make schools more productive contexts for learning (the how we teach) without calling the curriculum into question (the what we teach). If I wasn’t clear enough above, a substantial aspect of “The Stager Plan” includes expending some serious effort at every school to determine what is worth being taught. Pedagogical strategies should reflect the content and the learning styles of students. The ideas proposed for making gerrymandering more engaging only add false complexity to what is a vocabulary term, likely taught in isolation as the curriculum whizzes by. My other concern is how we tend to reduce education to information access (or trading information) and how the emphasis on using computers as information appliances reinforces the status quo while depriving learners of authentic experiences. Why is this so? Should teachers be so compliant and teach anything they’re told to, regardless of context or value? Also, why is engaging with the “technology” so quickly dismissed as being inferior to the curriculum? This might be the first real engagement kids experience. Learning computer programming might actually lead to different thinking, different thinking about thinking, student agency and provide a window for teachers into the intellectual capabilities of kids. I wish there was a way for me to run a hands-on workshop for every teacher in the world during which they could experience the intellectual rigor and creative joy experienced while computing. Not only is this workshop necessary for teachers who don’t use “technology” in the ways Will’s post urges, but educators excited by Web 2.0 would do well to expand their computing fluency as well. Educators interested in spending four days on creative computing projects with a world-class faculty and amazing guest speakers this summer should check out Constructing Modern Knowledge. Act quickly, this very special event may sell-out!